Overflowing trash, toilets and safety concerns. 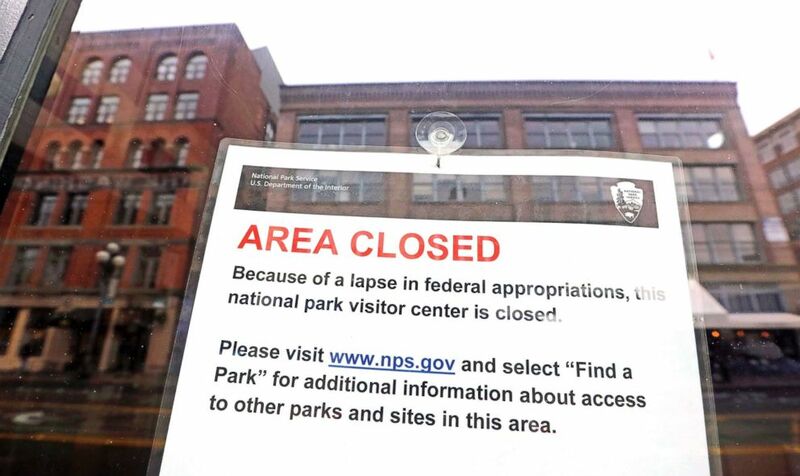 National parks face second week of shutdown. As the government shutdown extends into the new year, public lands and national parks are struggling to handle the trash, waste, and other damage from visitors without staff to manage the situation. The dozens of open-air national parks are remaining open during the government shutdown but with minimal staff to carry out basic operations, park rangers to provide safety information, and even limited emergency services like plowing roads and search and rescue in some cases. As visitors spend time on public lands during the shutdown, trash and human waste has been piling up and parks advocates say they're concerned visitors could hurt the environment or put themselves at risk if they disregard rules the rangers would normally enforce. (Elaine Thompson/AP) The tiny Klondike Gold Rush National Historical Park in Seattle's historic Pioneer Square neighborhood is posted with a closed sign as part of the federal government shutdown, Dec. 26, 2018. John Garder, senior director of budget and appropriations at the National Parks Conservation Association, told ABC News that when park rangers aren't available to give basic safety information, visitors are less likely to be prepared. A similar situation unfolded at Arches National Park. "We're deeply concerned about the threat to park resources and to visitor safety with this park closure situation," Garder said in a phone interview Monday. Garder said NPCA is monitoring the situation and seeing trends that visitors in the parks are disregarding rules about keeping dogs on leashes, prohibitions on drones, and restrictions on where to camp, all of which can harm or disrupt the natural environment or wildlife in the area. During the shutdown last January a poacher killed a pregnant elk in Zion National Park and visitors were cited in Yellowstone for driving snowmobiles too close to Old Faithful. 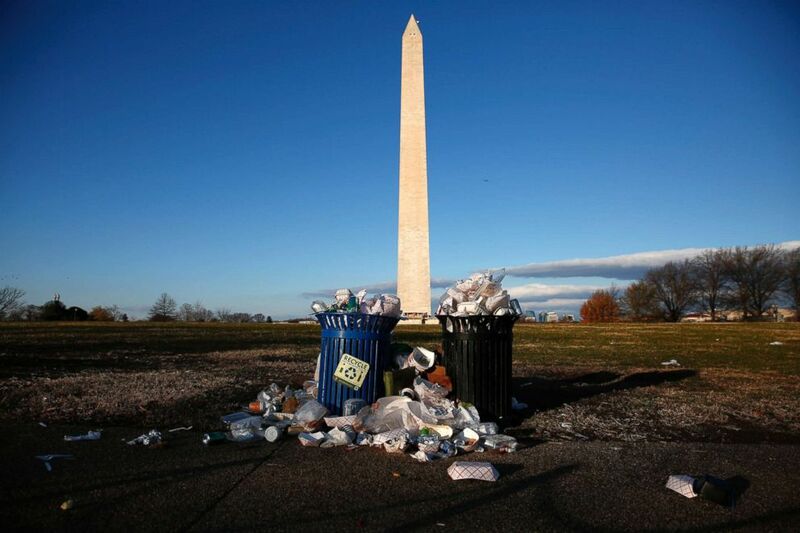 (Win McNamee/Getty Image) Trash begins to accumulate along the National Mall near the Washington Monument due to a partial shutdown of the federal government in Washington, D.C., Dec. 24, 2018. Volunteers and nonprofit groups like Friends of Joshua Tree National Park are stepping in to help but can't make up for everything that would normally be done. The superintendent at Joshua Tree, David Smith, thanked the volunteers on Monday but said they have to close some of the campgrounds because the toilets, which don't have plumbing or a septic system, are too full. Other parks have also said they will have to close areas or limit access to ensure visitor safety. Some even reminded visitors that excess trash or food can attract bears. 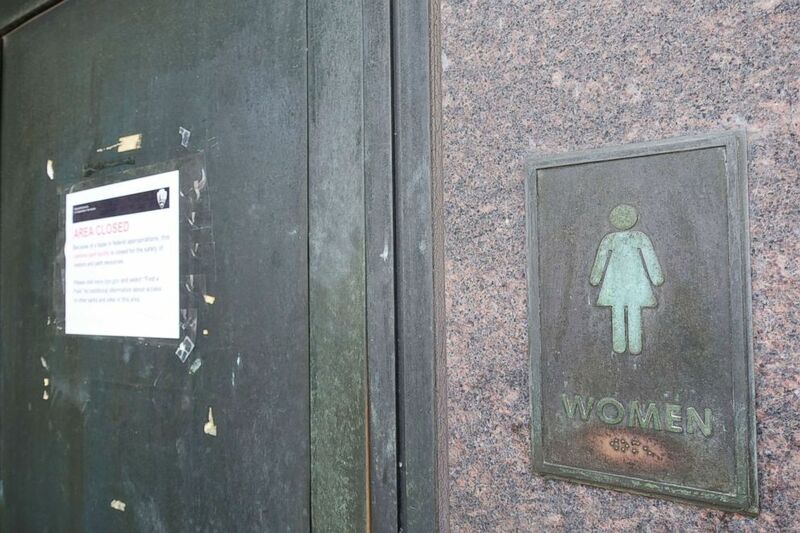 (Xinhua/Liu Jie via Newscom) A closed restroom at National Mall and Memorial Parks area in Washington D.C., Dec. 30, 2018. There's been at least one reported incident of an injury in a national park during the shutdown. Other visitors and a park ranger reportedly helped 26-year-old Joshua Snider after he broke his leg while hiking in Big Bend National Park in Texas on Christmas Eve. Newsday, in New York, where Snider is originally from, reported he slipped during a hike and fell 6 to 8 feet. He was reportedly helped by his friend Michael Bright and good Samaritans that helped carry him 1.7 miles down the trail until they encountered a park ranger. "If there wasn’t a shutdown, I probably would’ve been able to get out in a more efficient way," Snider told the paper. "But it also showed me, especially with this park ranger working unpaid, it showed me the dedication that some people have for their jobs and have for the greater good of society. It shows a beautiful part of humanity that you don’t see every day."